2 owners from new, current owner has had the car since 1975!! 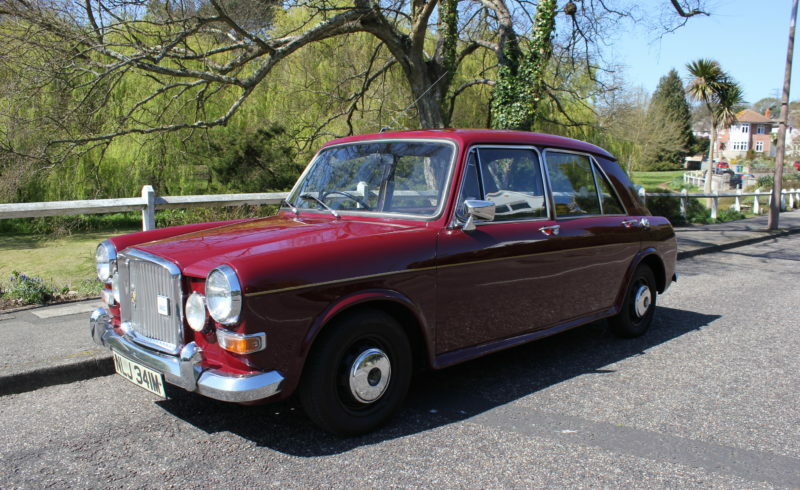 The car has had 2 female owners since new and the current owner has had it for over 40 years!! It was serviced every year by a local garage when it went for its yearly mot. The gear change is smooth and very nice. It is very clean and there is no rust! It was always parked in a very dry car park. In the last few years it has had some restoration work completed. The local garage that did the servicing and mot etc carried out the restoration work, the bill which came to £7,500 pounds a couple of years ago!! We have not got a receipt of the work but we do have a small amount of history with the car. It has had new sills and a new interior fitted (upholstered) amongst many other new parts. Service new spark plugs, oil and filter, top up levels, Remove all wheels check, clean and adjust brakes. re-set timing and carry out road test.